Mikenzy and Grandpa Ed Miller, Faith, S.D. 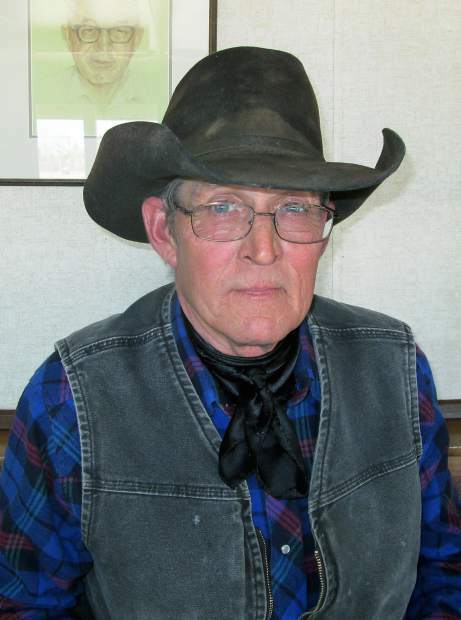 Ken Couch, Buffalo Gap, S.D. 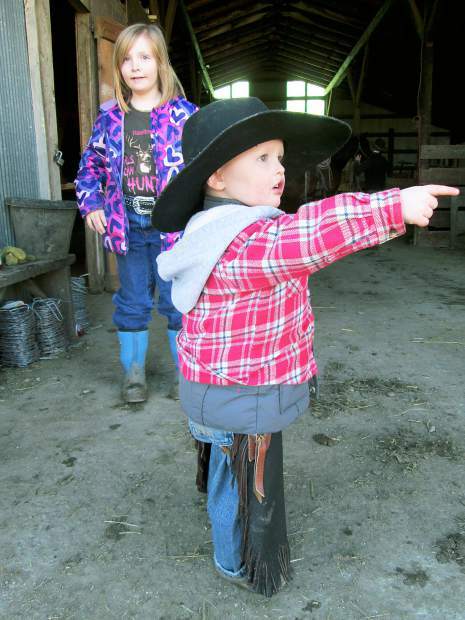 One of the new ringmen for Tri-State Livestock NewsâDillon Toavs. Dan Fogelman, Faith, S.D., bought Lot 9 at $6250. 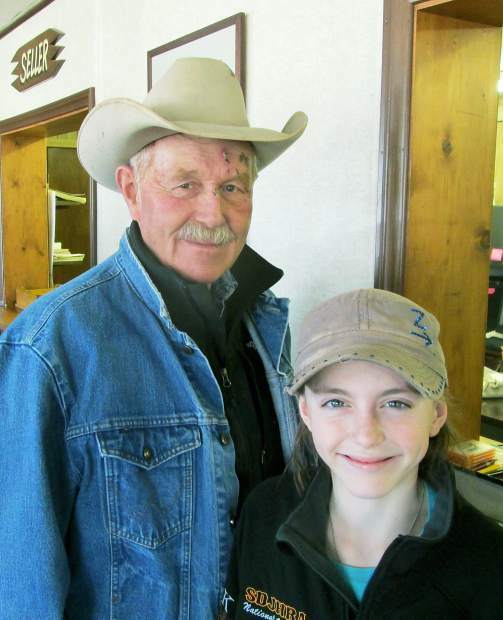 Brad Schecher, Bison, S.D., is the owner of Lone Tree Ranch. A nice crowd gathered for his second annual Red Angus bull sale. It is so nice to see the enthusiasm and spirit of this young man as this good young herd moves forward. 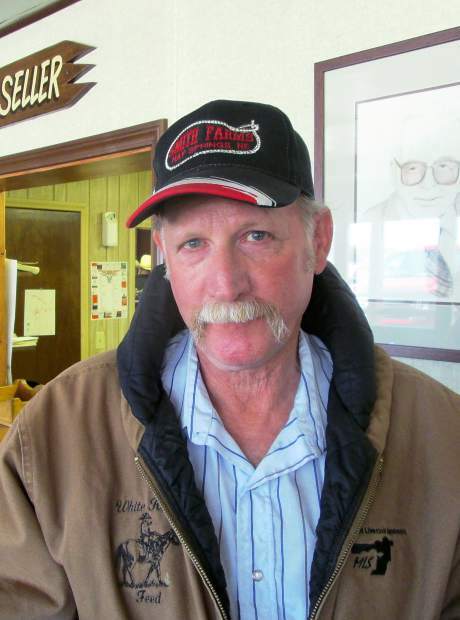 Brad believes in the many advantages offered by the Red Angus breed. Although his herd is still relatively small, Brad has worked extremely hard to sort just the best genetics for his commercial customers. Many of these bulls were designed for calving ease and were in high demand to breed yearling heifers. These bulls were handled right, and had excellent dispositions. Brad also pays close attention to his cowherd. His goal is to breed females with long productive lives. These cows need to be low maintenance and thrive on roughage. Brad keeps the bulls until May 15 and offers free delivery. Top selling bull of the day honors were shared by two bulls. Lots 8 and 9 each sold for $6,250. Lot 9 sold to Dan Fogelman, Faith, S.D. This son of BSKF Trendsetter U222 was out of a daughter of Lorenzen Julian 3811 who had an MPPA of 108.3. His EPDs were CED 7, BW -1.4, WW 61, YW 93, MILK 23, STAY 15, MARB 0.58 and REA 0.07. Born at 81 lb., he weaned at 675 lb., and posted a yearling weight ratio of 110. Lot 8 sold to Morrell Livestock, Union Center, S.D. Here was a son of BSKF Trendsetter U222 who was out of a daughter of TR Epic ST618. He hit the ground at 82 lb. and grew to a weaning weight of 699 lb. He had a yearling weight of 1,159 lb. to ratio 108. His EPDs were CED 8, BW -2.5, WW 60, YW 91, MILK 24, STAY 16, MARB 0.53, and REA 0.16. Tom Aberle, Glen Cross, S.D., bought Lot 1 at $5,500. This heifer bull was a son of Beckton Epic and out of a daughter of Bieber Romeo 10107. Notice his BW EPD of -3.6 and his birth weight of 75 lb. Add those stats to his weaning weight of 735 lb. and his yearling weight of 1,304 lb., and you have a tremendous package to use on your yearling heifers. His EPDs were CED 10, BW -3.6, WW 61, YW 102, MILK 23, STAY 12, and MARB 0.54. Morrell Livestock purchased Lot 11 at $5,500. He was a Trendsetter son who was out of a daughter of PIE Robo 7004. Born at 88 lb., he weaned at 684 lb. to ratio 105. Tanner Besler, Bison, S.D., topped his purchases with Lot 13 at $4,500. With a birth weight of 74 lb., he weaned at 642 lb. and posted EPDs of CED 11, BW -5.3, WW 51, YW 90, MILK 24, and STAY 15. Lot 18 sold to Alton Thompson, Marcus, S.D., at $4,500. This son of BSKF Trendsetter U222 was out of a daughter of PIE Gridmaster 589. Born at 77 lb., he had a BW EPD of -2.1 couples with a STAY score of 16. Repeat buyer Shad Finn, Midland, S.D., bought Lot 2 at $4,500. Born at 82 lb. he weaned at 734 lb. to ratio 112. This son of Beckton Clifftop had a BW EPD of -3.6 and a YW EPD of 107. Alton Thompson selected Lot 12 at $4750. He was a son of LMAN Milky Way.